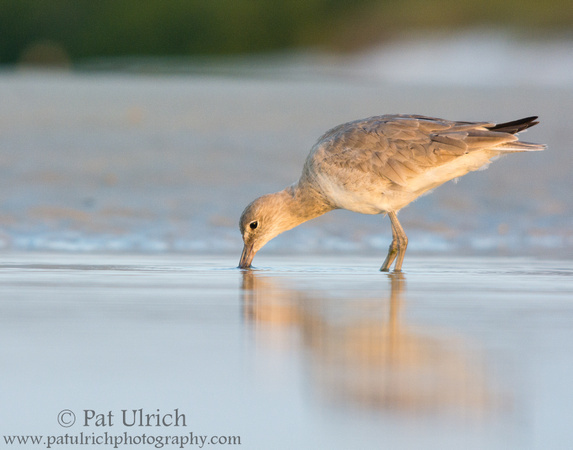 Willets are a really fun shorebird to watch and photograph. What they lack in interesting plumage patterns and elegance, they more than make up for in character. I've had so many fun encounters with these curious birds on various beaches over the years. 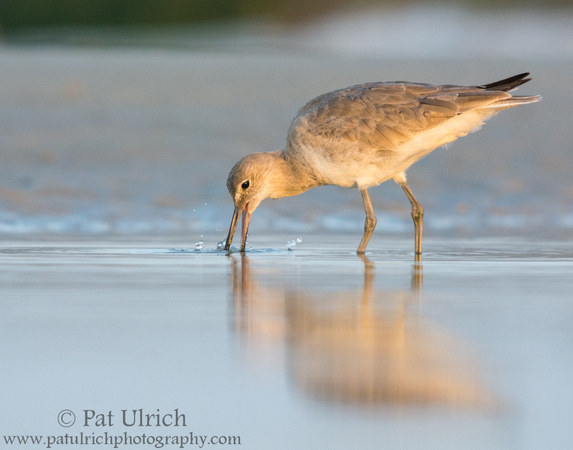 On this trip to southwest Florida, I had a chance to photograph so many interesting species, many of which I have no opportunity to see near home on the coasts of New England, but on each of my morning outings to Bunche Beach Preserve a willet caught my attention and left me delightfully entertained. 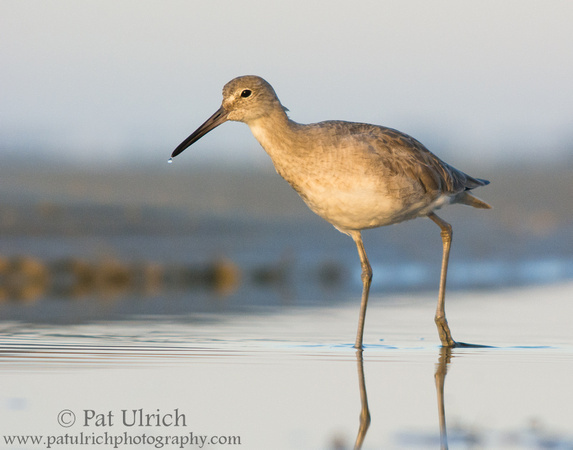 This willet was working a shallow tidal pool near the main entrance of the park. It was wading through the water in a much more heron-like pattern, clearly hunting for moving prey. For the frame above, it was working hard to pull something to the surface. It continued to manipulate the prey under the water, attempting to find the right grip. Much to my surprise, when it finally pulled its prize free from the water's surface, it was some type of small flat fish. 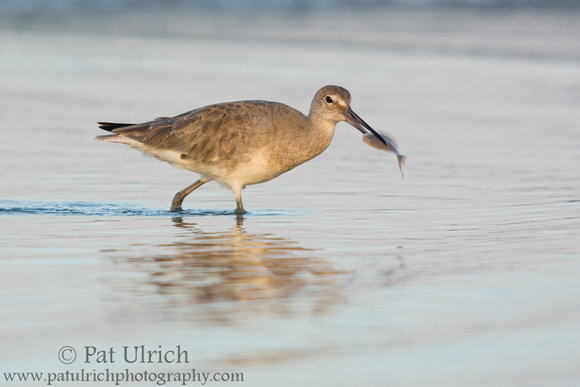 As many times as I've enjoyed photographing willets in the past, never before had I seen one with such an interesting type of prey! Unfortunately, in the excitement of finally freeing its meal from the water, I lost the lovely backdrop of the sand and mangroves in the distance as I tracked its movements sprinting out of the pond with its catch. With no recent trips to pull from, here are two frames from a fantastic trip to southwest Florida I had a few years ago. I spent two mornings at Bunch Beach Preserve in Fort Myers, and came back with so many images (many of which are still waiting to be shared). That area is truly a bird photographers haven! 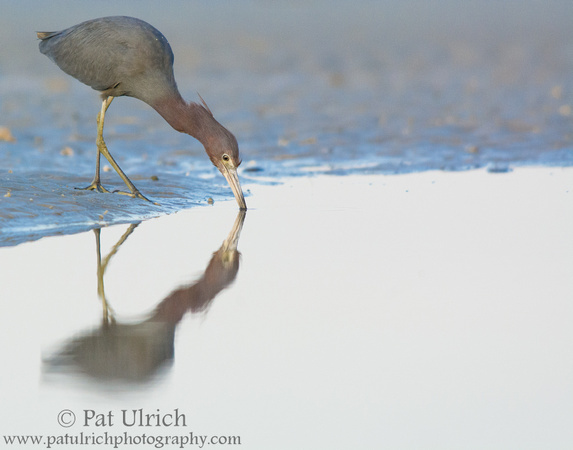 I watched this little blue heron hunting in a shallow tidal pool for over a half an hour. It strolled back and forth through the water, constantly searching for prey, and I saw it pull a surprising amount of fish from the small pool. When the image above is viewed at 100%, you can see the small fish caught in its bill behind the splashing water, which it shows off quickly below before swallowing it down. 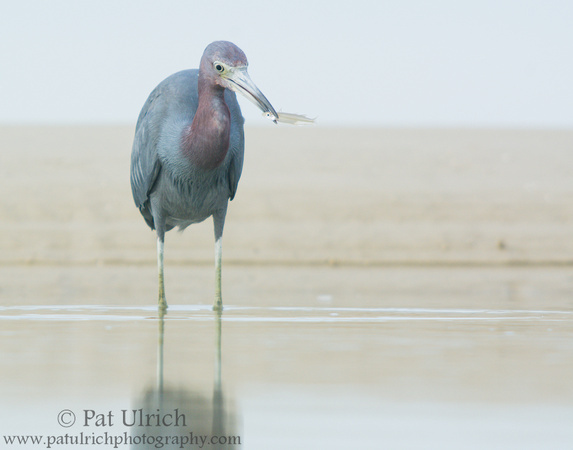 Little blue herons have such a great "personality" and this one put on a show for me last spring at Bunche Beach Preserve. I saw it catch a surprising number of fish in this small tidal pool, all the while casting a series of expressive poses. Though, I can't quite decide if this straight-on looks is more comical or stoic. 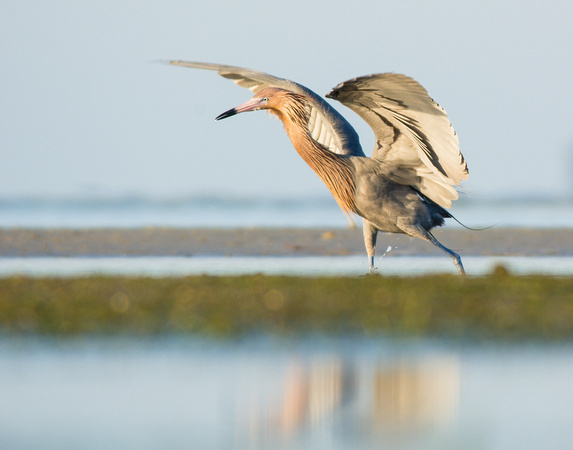 On my trip to southwest Florida in March, one of the most exciting species to see, other than the roseate spoonbill I've previously posted, was the reddish egret. This bird was a lifer for me, and we first saw one at quite a distance through a docent's scope at Ding Darling NWR. At the time, I had no idea that I would have the privilege to photograph one at relatively close range each of the next two mornings at Bunche Beach Preserve. They are such a beautiful species, and their goofy running, jumping, and flapping behavior while chasing fish was really a sight to behold. Its comical movements reminded me quite a lot of Big Bird from Sesame Street! 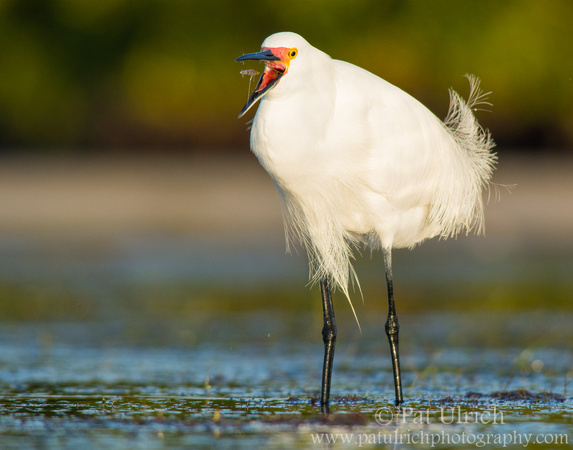 View more of my photographs of egrets and herons. 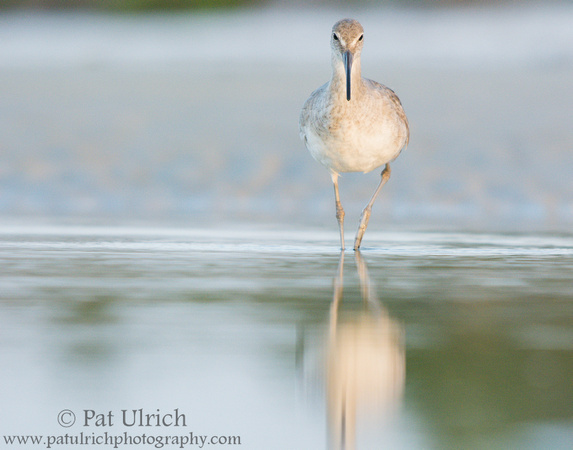 Warm morning light, still water, and the slow gait of this willet through the shallow tidal pool combine to transport me to a serene setting of quiet solitude. While the beach had plenty of action that morning, this image encapsulates the internal silence I often experience while photographing wildlife. 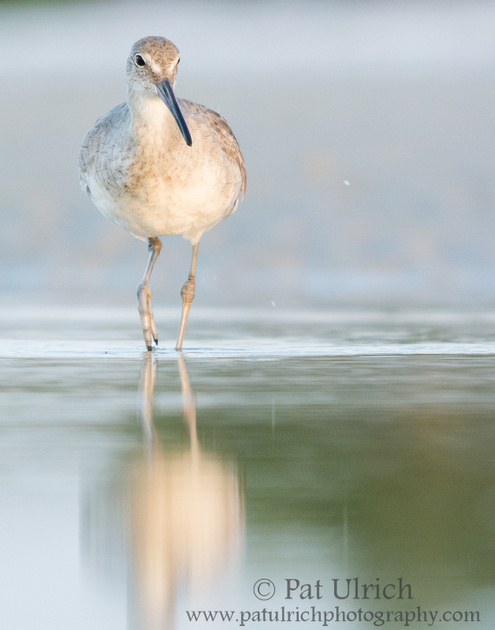 View more photographs of willets. I've been posting a series of photographs lately of tiny juvenile piping plovers, so I thought I'd mix it up with a substantially larger youngster. 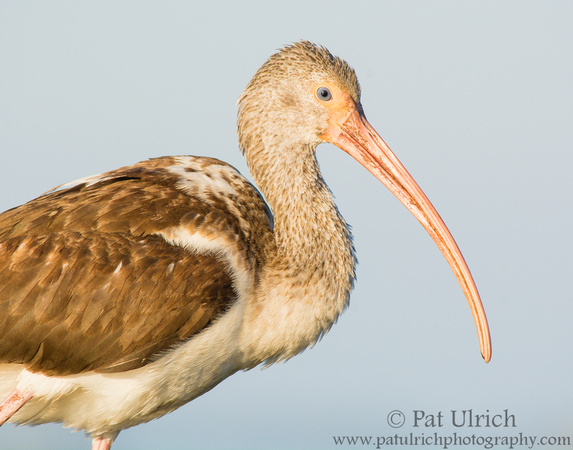 This handsome bird is a less than a year-old white ibis that I photographed in March at Bunche Beach Preserve in Ft Myers, Florida. Seeing this species is a highlight of any trip to Florida, and we saw probably 20 or so juveniles on a kayaking trip through the mangroves in Ding Darling National Wildlife Refuge. Though it wasn't until the next morning that I was able to get a close enough view to see those beautiful blue eyes. 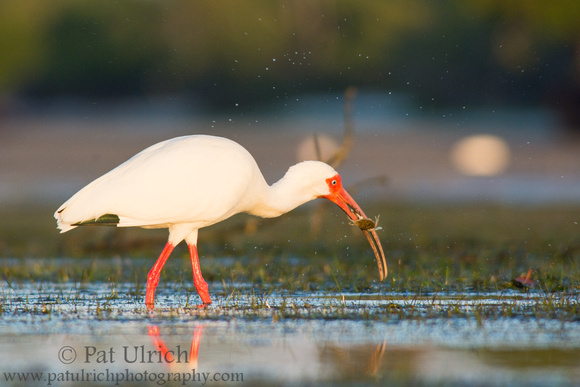 View more photographs of white ibises and other wading birds. 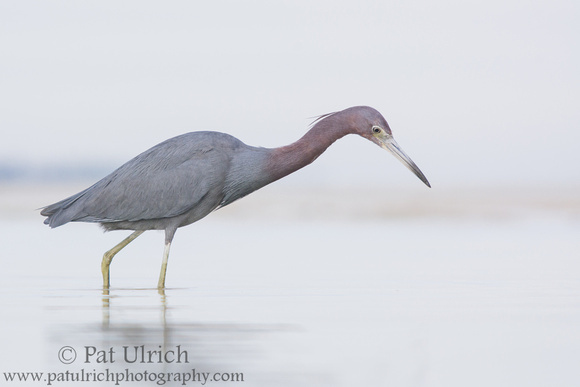 This little blue heron (Egretta caerulea) put on quite a show for me as a watched it hunt for a half-hour at Bunche Beach Preserve in Fort Myers, Florida. It had a terrific success rate as it struck at fish below the surface of the tidal pool. Here, it proudly showed me a full view of its silver prize before quickly swallowing it whole. 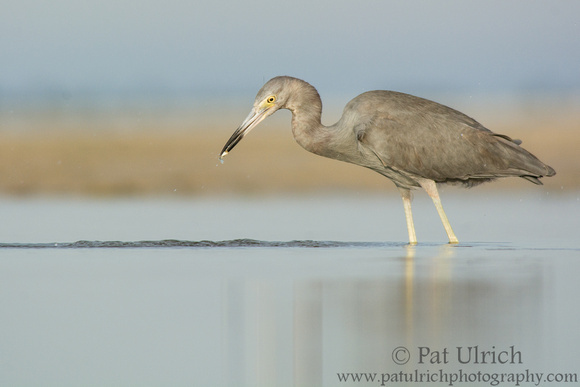 Browse more of my photographs of herons and egrets. 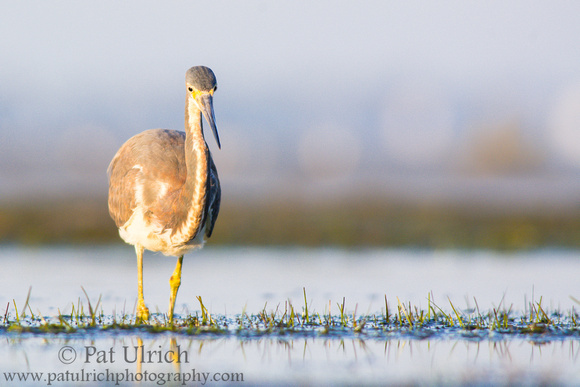 This post shared with Wild Bird Wednesday -- follow the link for this week's posts! The smooth surface of the shallow tidal pools at Bunche Beach Preserve made for some nice reflections all morning. It was surprising to experience how quickly the flooding tide rose across the flat expanses of exposed mudflats. I initially placed myself a few yards from the edge of this pond, but after about 15 minutes of photographing this juvenile roseate spoonbill, the water had reached my location. Thankfully, the bird soon opted to fly off to a different pool, making it a much easier choice to stand up before being completely soaked through. 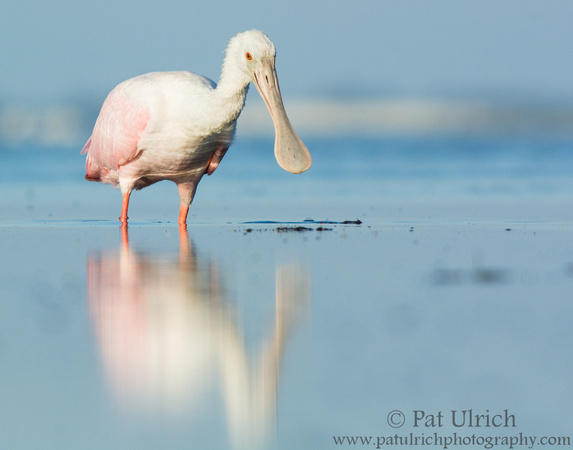 View more photographs of this juvenile spoonbill and other wading birds. 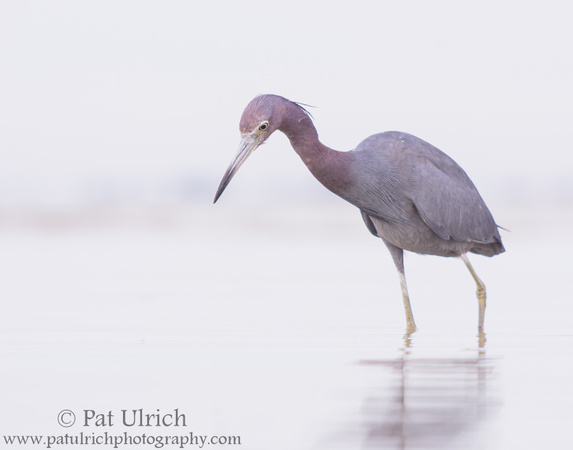 On this morning last March, I had enjoyed photographing wading birds in the warm sunrise light further up the beach at Bunche Beach Preserve. 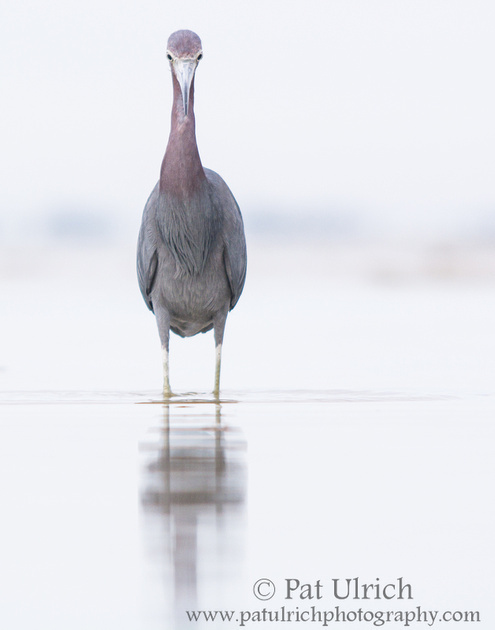 As I was walking back to the car, some high-level clouds moved in and provided wonderful diffuse light for this lone little blue heron as it hunted in a shallow tidal pool. Combining that with a low-angle approach, and this small tidal pool appeared to extend all the way to the horizon. Herons have such amazing eyes, and they seem to move with such focus. As this one prowled the shallow waters of a tidal pool, I certainly would not want to be a small critter looking up through the surface of the water to see that face staring back at me! 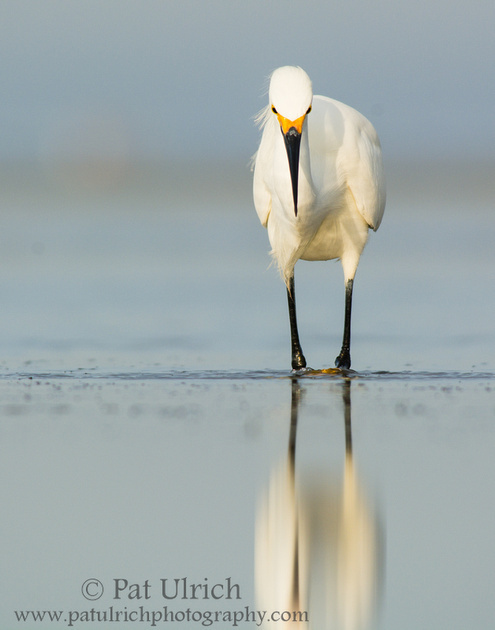 View more photographs of herons and egrets. On my trip to Florida in March, I enjoyed the chance to photograph a variety of bird species that we don't get to see up here in the northeast. 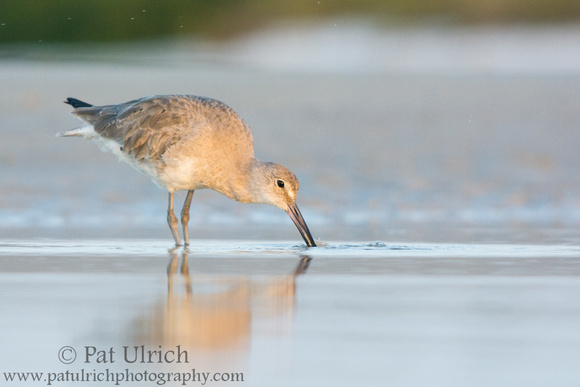 But no matter where I am, its hard to pass up an opportunity to photograph a shorebird, even if a plain old willet like this one. What they lack in color and plumage pattern they certainly make up for in character! 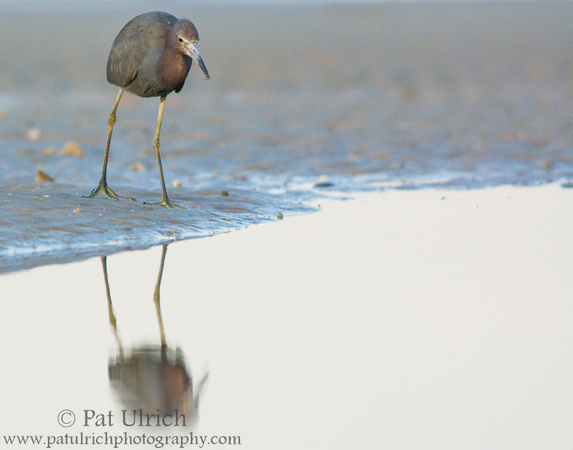 I had a lot of fun last month watching the wading birds in the tidal pools of a low tide at Bunche Beach Preserve in Fort Myers, Florida. One of the benefits of getting low next to the water's edge is the fun reflections that develop in the still water. 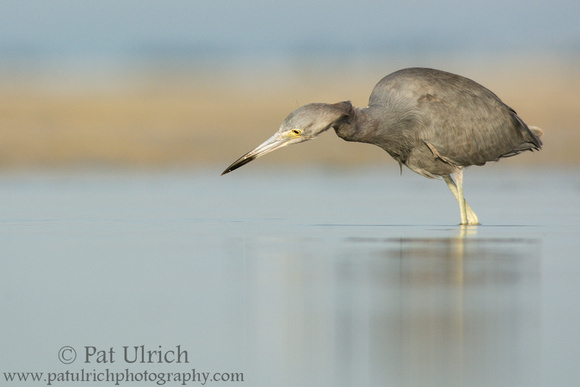 It was exciting enough when this little blue heron was working the edge of the pool, but it got even better when it started strolling across the shallows. 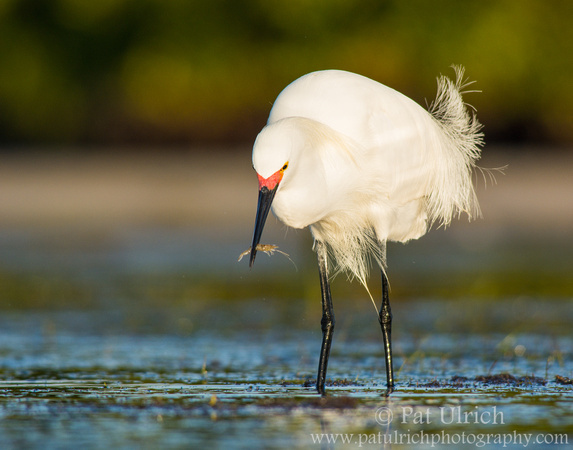 Continuing my run of posts on wading birds capturing prey from tidal pools, here is a white ibis preparing to swallow a crab. These were perhaps the most interesting feedings to watch, as the crabs had a chance to fight back. 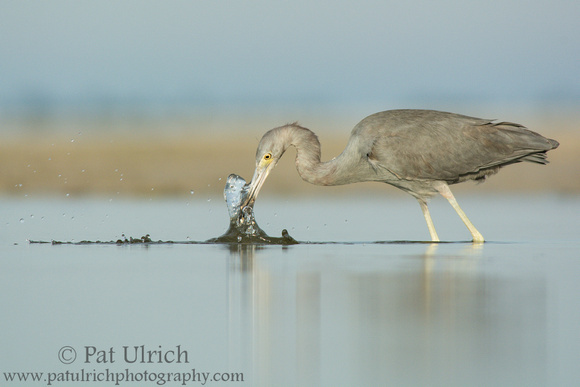 With a fish, the birds would very quickly go from capturing to consumption, but it would take a little while to get the crab in the right orientation to swallow it. Especially when the crab used its claws to attempt to hang on to the bill, as is evident in the image below of a different ibis. 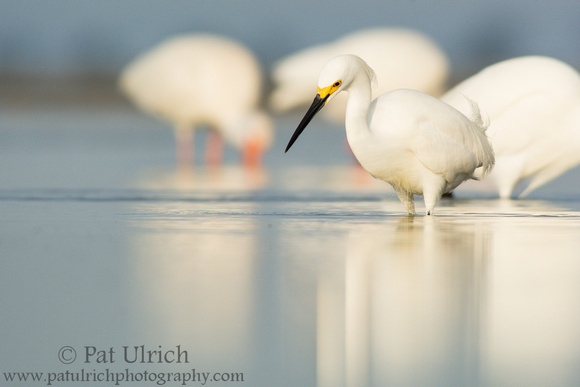 View more of my images of wading birds. 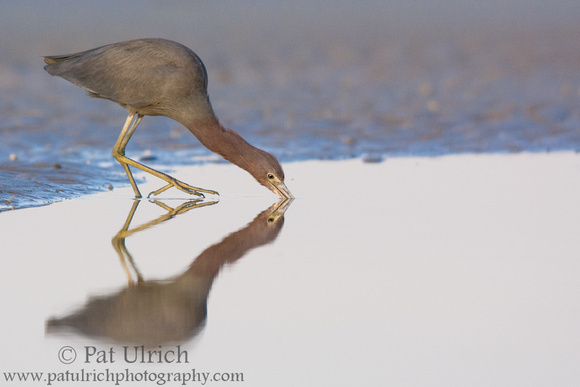 I was really amazed at the volume and diversity of prey I saw the wading birds pulling from the tidal pools at Bunche Beach Preserve. Coming from a northern climate, when I see a pool of water in the sand along a beach, I tend to think that there isn't much caught inside. 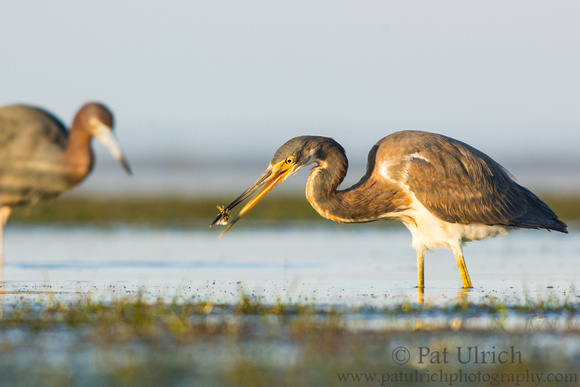 But down along the Gulf Coast, it seemed like there was an endless supply of fish, crabs, and shrimp for the birds to capture. This tricolored heron pulled a small striped silver fish from the pond, flipped it around to drop out the plants, and then quickly tossed it down the hatch. 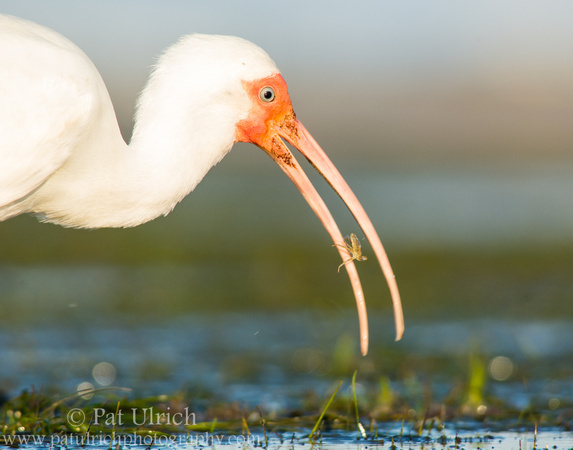 Continuing my tour through the bird species I saw in Florida last month, here's another favorite that I was excited to photograph -- the white ibis. 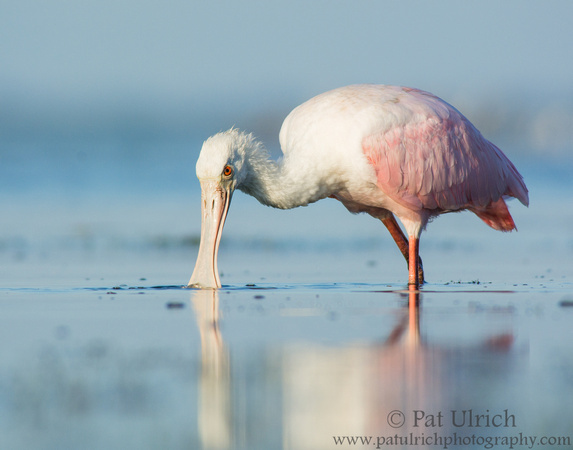 Even though they are fairly common and have relatively plain plumage, their long bill, blue eyes, and bright facial mask really add some photographic flare. 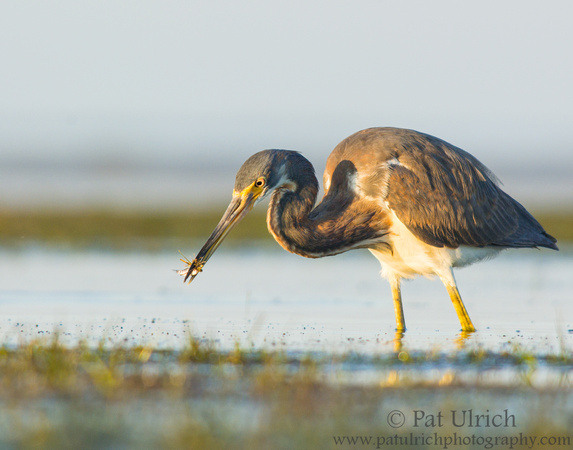 This particular ibis is feeding in a tidal pool at the Bunche Beach Preserve in Fort Myers. 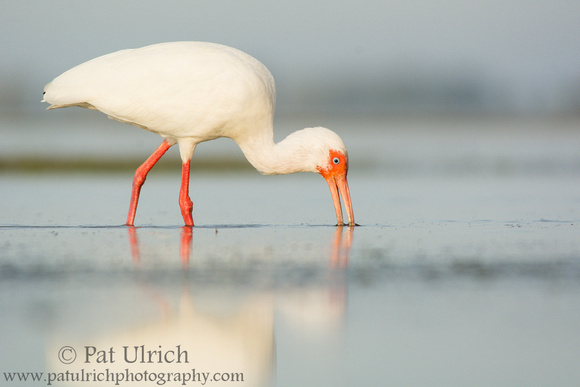 View more of my photographs of white ibis and other wading birds. 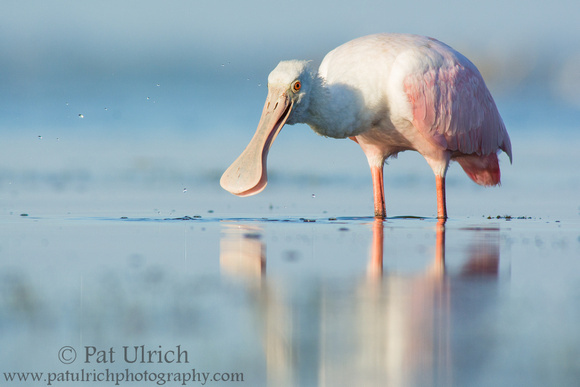 I saw a ton of birds during my two mornings at Bunche Beach Preserve in March, but the highlight was having a chance to photograph this young roseate spoonbill at close range. I think these birds are remarkable, and it was awesome to have it land in the pool I was watching. At the time it arrived, the morning was getting late and I was feeling content with the images I had captured while the light was really nice. 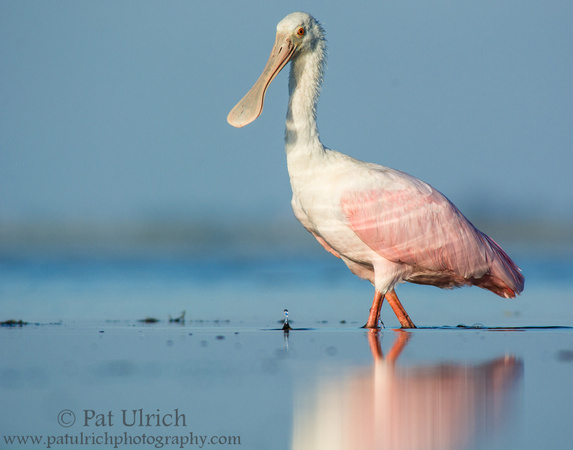 I had actually already gotten up and was preparing to start my walk back to the parking lot when I heard a birding tour guide behind me excitedly tell his group "this is a real treat, a roseate spoonbill just arrived!" Many thanks to that helpful guide for alerting me to this amazing opportunity! The spoonie landed on the far side of the tidal pool, so I returned to my spot at the near edge, laid back down, and watched through my lens as it came closer and closer. 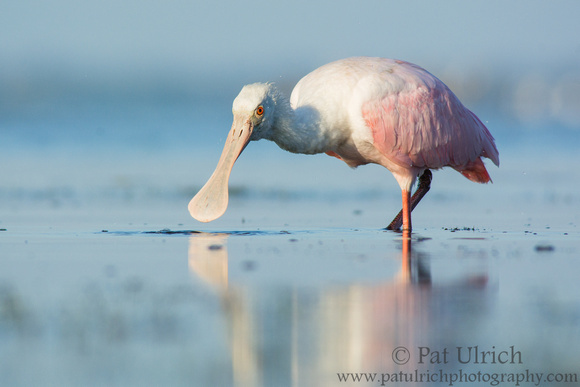 On my prior trip to Ft Myers in 2012, I had seen a small flock of roseate spoonbills at Ding Darling NWR, but unfortunately they were far away with no possibility to get closer. This experience was quite the opposite, with the bird meandering back and forth across the tidal pool coming closer and closer to me with the rising tide. I took a lot of photos of this lone bird, but how could I resist that amazing bill!